A questionnaire survey on the status of intelligent building development was carried out. Based on actual survey questionnaire data, the development status of technology and applications was described in this paper, mainly discussing the existing problems and the proper future development. 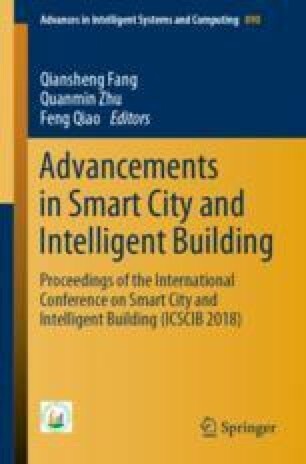 It is aimed at providing valuable findings on intelligent building development, exploring an innovative way to build a practical, reliable, and easy-used intelligent system to meet the requirements of users. Among all the designing aspects, the configuration of both hardware and software is the most tedious and error-prone part when building an intelligent system, as a huge workload is inevitable when solving the difficulties on system transformation. Unsuitable operation logic of the system and equipment is another problem, as the distance between the original expectation of the intelligent system and the real operation effect is still large. Though some building systems realize integration between the subsystems, they work independently, thus enabling different subsystems to work as a whole is another problem which needs to be emphasized. A much simpler configuration process or structure of the software and hardware system is significantly required in this field. If the controller could adapt its own operation logic automatically according to preset equipment parameters, this problem might be solved fundamentally.